This article by Boris Matijias of Archipielago Empresa Familiar, Barcelona, outlines his method for working with the family enterprise client in an objective, clear and sincere manner. Today The Practitioner sits down with Dr. Robert Sapolsky, Mac Arthur Genius Fellow and the Opening Keynote Wednesday, October 16, 2013 at the FFI Global Conference in San Diego. Even the most astute and thoughtful advisor can lose sight of issues which, if unaddressed, threaten to destroy the stability of the family enterprise. 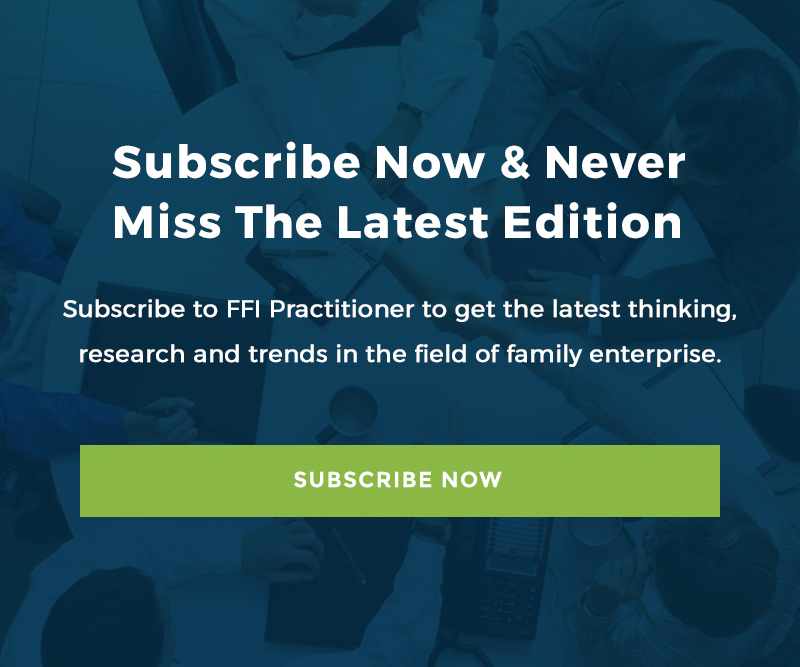 The Practitioner is very pleased to feature the last of the five articles in the historic September Special Issue of FBR on Advising Family Enterprises.